Activity: A function of the chemical potential of a system. Alloy: A metallic substance that is composed of two or more elements. Austenite: Face-centered cubic iron or an iron alloy based on this structure. Bainite: The product of the final transformation of austenite decomposition. Binary Eutectic: In this context, it means a phase diagram that consists of two elemwnts that are not completely soluble in the solid state. Binary Isomorphous: In this context, it means a phase diagram that consists of two elements that are completely soluble in both the liquid and solid states. Body-centered: A structure in which every atom is surrounded by eight adjacent atoms, whether the atom is located at a corner or at the center of a unit cell. Cementite: The second phase formed when carbon is in excess of the solubility limit. 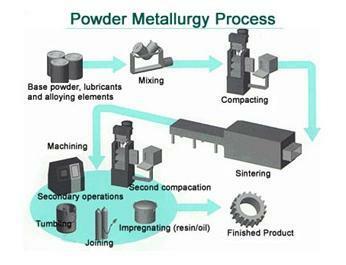 Component: Either a pure metal or a compound of which an alloy is composed. Compositions: The concentrations of all components or elements that are found in an alloy. Constituents: Severing to form, compose, or make up a unit or whole: component. Critical point: Point where the densities of liquid and vapor become equal and the interface between the two vanishes. Above this point, only one phase can exist. 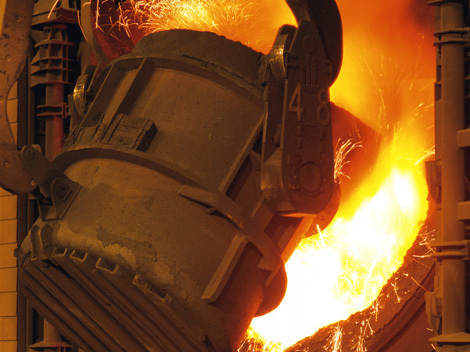 Delta iron: The body-centered cubic phase which results when austenite is no longer the most stable form of iron. Exists between 2802 and 2552 degrees F, has BCC lattice structure and is magnetic. Dilatometer: An instrument used to measure thermal expansion in solids, liquids, and gases. Enthalpy: A state function where it is the heat supplied to a system at constant pressure to the system. Eutectic: A eutectic system occurs when a liquid phase tramsforms directly to a two-phase solid. Eutectoid: A eutectoid system occurs when a single-phase solid transforms directly to a two-phase solid. Face-centered: A structure in which there is an atom at the corner of each unit cell and one in the center of each face, but no atom in the center of the cube. Ferrite: Body-centered cubic iron or an iron alloy based on this structure. Fine pearlite:Results from thin lamellae when cooling rates are accelerated and diffusion is limited to shorter distances. Heterogeneous system: When a system is composed of multiple phases. Homogeneous system: When only one phase is present in the system. Hypereutectoid: Hypereutectoid systems exist below the eutectoid temperature. Hypoeutectoid: Hypoeutectoid systems exist above the eutectoid temperature. Isomorphus: Having the same structure. In the phase diagram sense, isomorphicity means having the same crystal structure or complete solid solubility for all compositions. Incongruent phase transformation: This is a phase transformation where at least one of the phases involved undergoes a change in composition. Ledeburite: Eutectic of cast iron. It exists when the carbon content is greater than 2 percent. It contains 4.3 percent carbon in combination with iron. 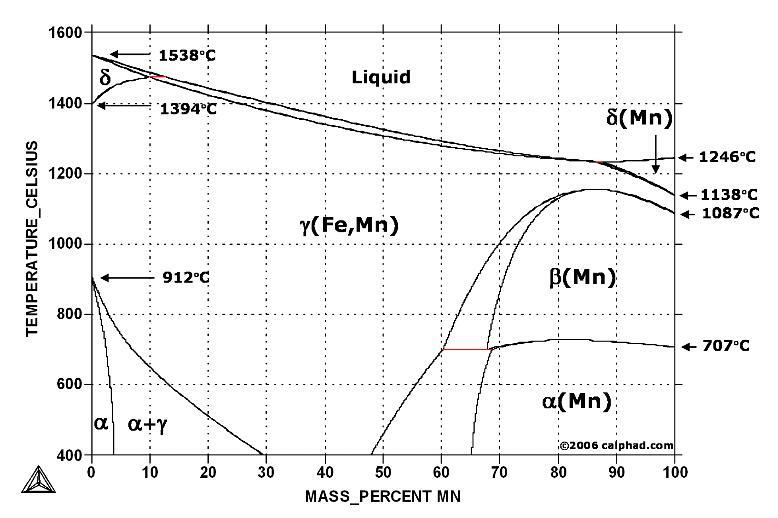 Lever rule: A mathematical expression whereby the relative phase amounts in a two-phase alloy at equilibrium may be computed. Liquidus Line: On a binary phase diagram, that line or boundary separating liquid and liquid + solid phase regions. For an alloy, the liquidus temperature is that temperature at which a solid phase first forms under conditions of equilibrium cooling. 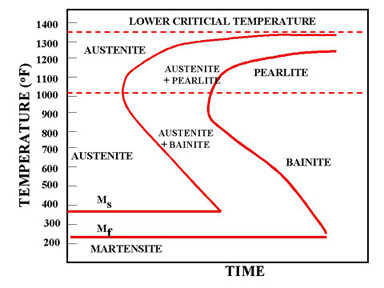 Martensite: An unstable polymorphic phase of iron which forms at temperatures below the eutectoid because the face-centered cubic structure of austenite becomes unstable. 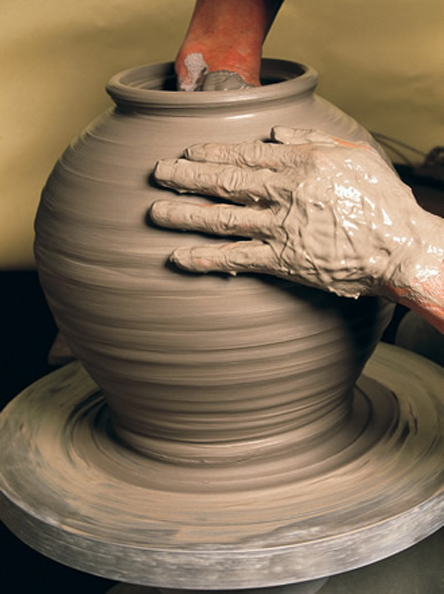 It changes spontaneously to a body-centered structure by shearing action, not diffusion. Mass spectrometer: An instrument used to separate charged particles from a prepared beam by means of an electromagnetic field and to photograph the resulting distribution or spectrum of masses. Microstructure: Structure of the phases in a material. Can only be seen with an optical or electron mircoscope. Pearlite: A lamellar mixture of ferrite and carbide formed by decomposing austenite of eutectoid composition. Phase: A homogeneous portion of a system that has uniform physical and chemical characteristics. Phase diagram: A graphical representation of the relationships between environmental constraints, composition, and regions of phase stability, ordinarily under conditions of equilibrium. Polymorphic: The ability of a solid material to exist in more than one form or crystal structure. Solidus Line: On a phase diagram, the locus of points at which solidification is complete upon equilibrium cooling, or at which melting begins upon equilibrium heating. Solubility: The amount of substance that will dissolve in a given amount of another substance. Tie line: A horizontal line constructed across a two phase region of a binary phase diagram; its intersections with the phase boundaries on either end represent the equilibrium conditions of the respective phases at the temperature in question. Xray diffraction: The scattering of x-rays by atoms in a crystal, producing a diffraction pattern that yields information about the structure of the crystal. Xray flourescence: A method of determining the amount of an element present in a substance by bombarding it with electrons and measuring the intensity of the charicteristic x-rays that are given off by the sample.